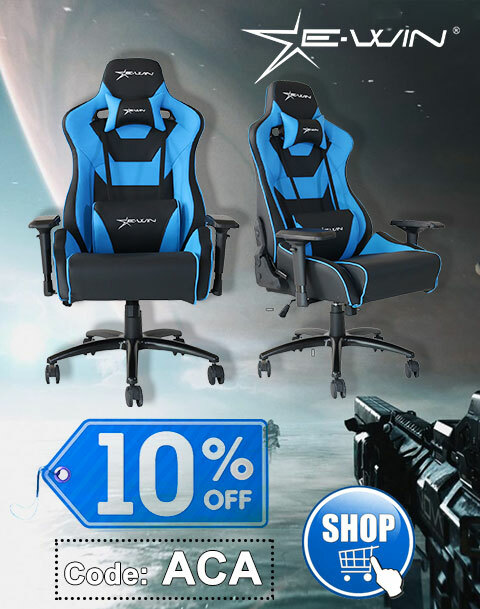 There’s simply no denying that our favorite type of gaming is electronic. Whether it’s console, arcade, computer, handheld, or anything in-between, if it’s an electronically powered game that preferably goes beep, we love it. 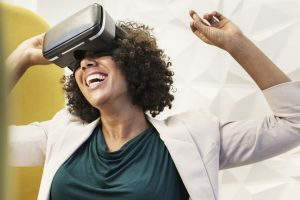 Of course, like much of Armchair Arcade‘s readership, there’s still a big place left in our hearts for traditional board games, and especially tabletop gaming, as well as even a little skill-based gambling. The Easy Roller Dice Co., as the name suggests, specializes in all types of gaming dice and related accessories. 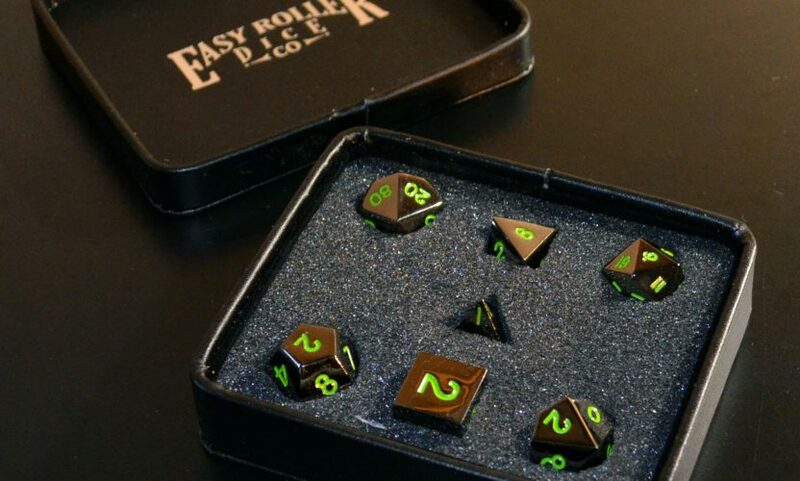 Whether you’re a tabletop gamer, board gamer, or gambling aficionado, Easy Roller Dice Co. probably offers just what you need to take your play to the next level (they even sell a nifty double-sided, vinyl gaming mat). Today I’ll be reviewing four different sets of their standard 16MM size gaming dice, including a metal-based professional edition. This set features a dull orange base with grey swirls, creating an almost marble-like appearance. This assortment of seven (7) polyhedral dice has gold numbers with clarification dots for numbers six (6) and nine (9). The random dice bag I received, which is nicely padded and has a cinch-string enclosure, came with a yellow interior, which is silky. This set features an emerald green color base with black swirls. This assortment of seven (7) polyhedral dice has gold numbers with clarification dots for numbers six (6) and nine (9). The random dice bag I received has a violet interior. This set features a bold blue base with light swirls, creating an icy look. This assortment of seven (7) polyhedral dice has white numbers with clarification dots for numbers six (6) and nine (9). The random dice bag I received has a pink interior. Since the above three sets are all the same save for the coloring, I’ll combine the pluses and minuses. The display and carrying box. 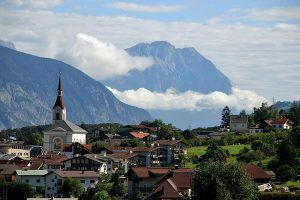 This set distinguishes itself from the other sets in a variety of ways. For one, the seven polyhedral dice are made of a polished nickel that’s reflectively plated for a high gloss and extreme durability. There’s a real weight to these dice, which provides substantial feel when tossed. The deep black base on these dice is set off by distinct green numbering with the expected clarification dots for numbers six (6) and nine (9). Instead of a dice bag, the Serpent’s Blood Dice Set comes in a leatherette-wrapped display and carrying box with pre-shaped depressions in the soft foam interior for each of the seven dice. It’s a nice change-of-pace from the norm for tabletop gaming dice. Although these dice command a premium price, we feel they’re worth it for the serious tabletop gamer. 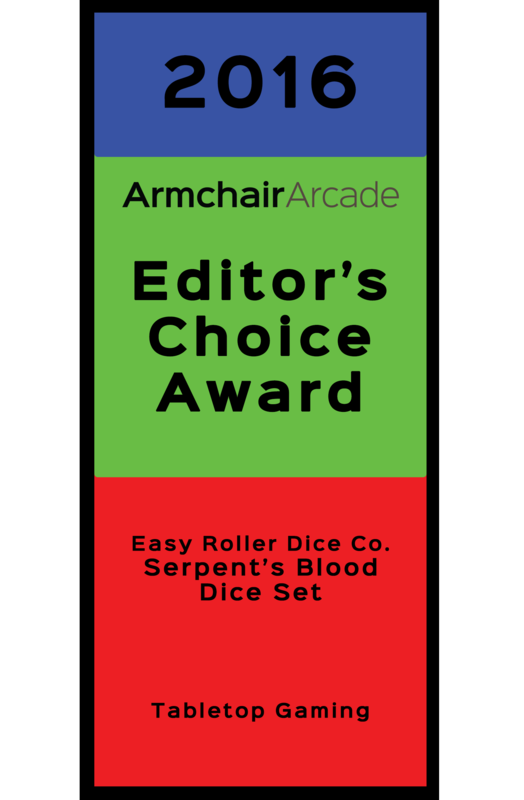 As such, we’re awarding the Serpent’s Blood Dice Set an Editor’s Choice award for 2016. Thanks to Easy Roller Dice Co. for the review units.